Who we are and What we do – Good Morning, Good Morning! What is Good Morning, Good Morning! you ask? Excellent question. We are writers. Seven women living across the world, sprinkled between three continents and four countries, brought together in 2014 and united by serendipitous encounters with our globetrotting Editor. Finding ourselves compelled to write – something different, something personal, something just for fun – we needed deadlines and a taskmaster to awaken a collective writing muse. This site serves as our forum. It is an exercise in exploration and creativity, fuelled in part by the adrenaline that accompanies a healthy dose of procrastination. We write on a shared theme. It may be broad or specific, controversial, or light and fluffy, like delicious waffles. After a theme is determined, each of us takes ample time to contemplate our existence and purpose before – finally – buckling down and rocking out an epic piece of prose in our own style. Each week features a new post by a different writer on the same topic, until we’ve all sufficiently voiced our opinion. When we are lucky, we have a guest writer get in on the action. Kathryn was once referred to in an email as Editor in Chief for GMGM, which sounds very impressive. Currently living in San Francisco, she previously resided in Singapore, London and various parts of Virginia. In a parallel existence she is a Co-Founder of The Trafficking Research Project and a Board member of Family Violence Law Center. She loves puns too much, sings hard at karaoke, quasi-habitually salsa dances on Mondays and unabashedly uses all the filters on Instagram. She is awestruck to know such a talented group of women who also happen to write. Gesa grew up on an idyllic little farm in the middle of nowhere in Germany. After getting a first taste of the exciting outside world during a year of high school in Endwell, NY, she went on to study Political Science in Trier, Germany with two stays abroad in Spain and France. She ended up living in Berlin working in politics – first a lobbying firm, then the German Bundestag. From there she got a taste of high politics, as a personal assistant to one of the candidates in the 2013 national election. She is now back in the Bundestag and manages the office of an MP. Gesa has always enjoyed getting to know people from different walks of life, and being able to share her work experiences on this blog is an opportunity she has waited for, for a really long time. Jessica Sheehan is a writer, mother, full TV season marathoner, singer of 80s ladies jams at karaoke, and lover of all things pop culture. She can be found on the best social media sites (you know the ones) under the pseudonym JeskuhBS. Occasionally, she’s been known to share her general ramblings on TV, movies, and life in general at her blog Deus Ex Blogina, and she drops her opinions on YA books and stories of run-ins with YA authors on Wastepaper Prose. She lives in Springfield, VA with her husband, straight up adorable twin girls, and lab mutt. Jessica strives to be the Leslie Knope of whatever she does; she is usually the Liz Lemon. Laura Bussinger, aka Laura Gene or more concisely LG, is a world-class procrastinator adept at making simple things complicated. She loves talking about her tattoos almost as much as she loves people chewing with their mouths open. She is a coffee shop connoisseur with a high standard for the perfect ambience and a foamy cappuccino. Spinning, boxing, pilates and yoga are on endless rotation in her (mostly) daily routine, but she really enjoys a good hike every now and then, especially while traveling around Asia. You can find LG cruising the streets of Shanghai on her not-yet-stolen bike (no. 2) trying her best to avoid a massive head injury. She lives with her boy-toy K-dub, little furry nugget JingJing and the occasional foster furball. 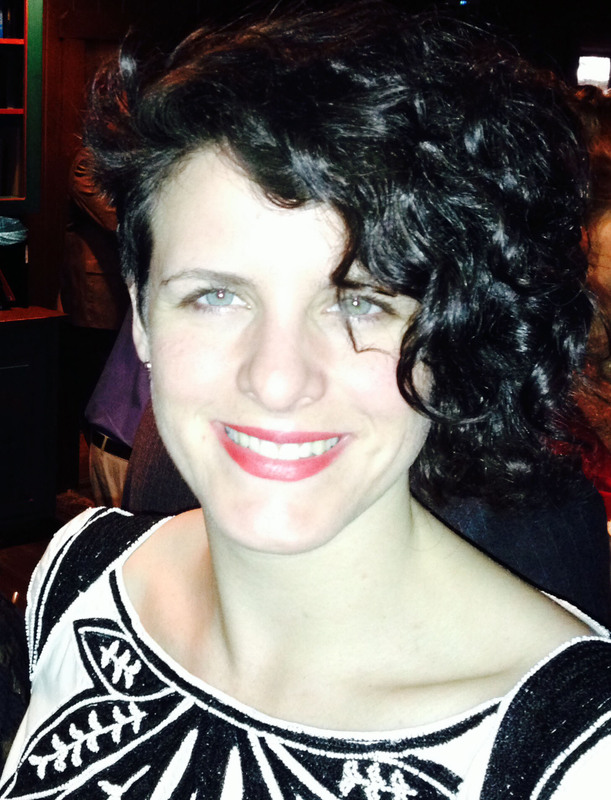 Meghan Trowbridge is a playwright and singer living in San Francisco, CA. She writes for SF’s premier sketch company Killing My Lobster and is an Artistic Director for San Francisco Theater Pub. Her plays have been produced by the SF Olympians Festival, FoolsFURY, and Inkblot Ensemble, under her pen name Meghan Kathleen O’Connor. She is also a proud member of the comedy improv team Chinese Ballroom, who have appeared at SF SKETCHFEST twice. There is a good chance you have never heard of her. Sharon is a writer and BAFTA Newcomer 2015. As well as Good Morning, Good Morning!, she is currently (re)writing her screenplays, Intertwined, Fixers, Spy Cell, Universal, United and In The Bleak Midwinter. She has lived in the UK, Japan, Bangladesh, Italy, the US and is obsessed with superheroes and spies. Pingback: Who we are and What we do | Good Morning, Good Morning!